There is opportunity year-round to reach out to millennials using campaigns that are tailored to their interests. A few examples of how these campaigns might take shape are below. Our Topical Survey Report revealed that young adults are frequently seeking opportunities to make a difference, help others, and find their purpose in life. 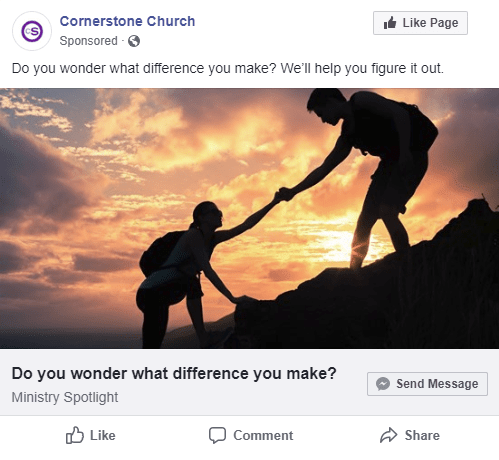 This subject easily translates into effective advertising, particularly if your church hosts community outreach events at which millennials could donate of their time. From conducting our Topical Survey Report, we discovered that one of the subjects most important to today’s young adults is mental health. Seeking help for problems with mental health or depression no longer carries the stigma it used to, and millennials are far more conscious about maintaining their own mental health than past generations. 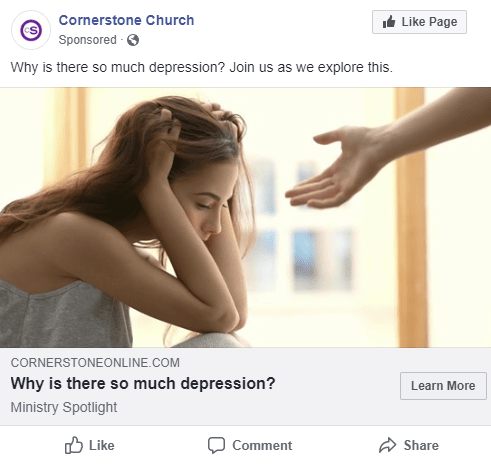 Does your church have a ministry dedicated to mental health issues? Are mental health issues discussed in your sermons? If so, promoting these with an advertising campaign presents a golden opportunity to engage young adults by appealing to their desire to achieve a healthy and sustainable mental state. Sample Topic #3: What Happens After Death? One of the top questions identified by our Topical Survey Report, that millennials seek answers to is “what happens after death?”. 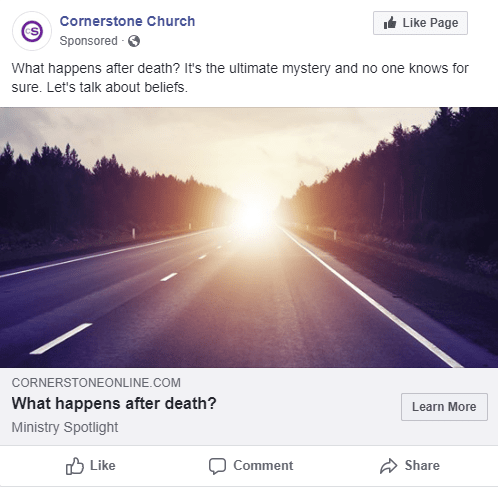 If your church has an upcoming sermon series dealing with the afterlife, running an advertising campaign promoting it can be an effective method to introduce young adults seeking answers to your church.